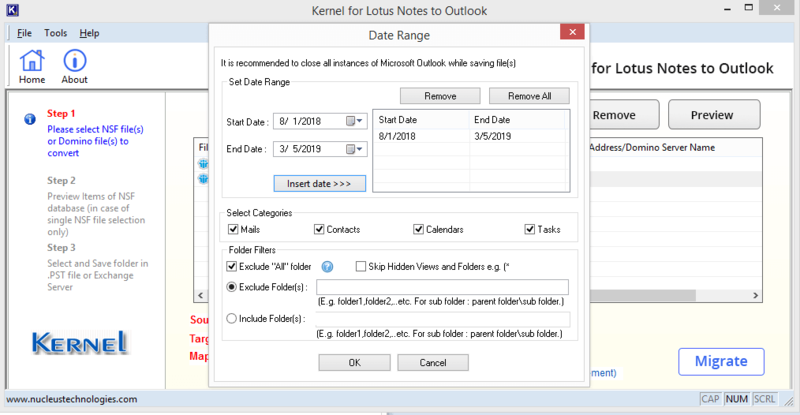 If you are searching for a smooth and secure way for the migration of Lotus Notes mailboxes to any version of Exchange Server, then read this article. IBM Notes application is losing its popularity day-by-day in the era of advanced Exchange Server versions. Most of the IBM Notes users are migrating to other email Servers such as Exchange Server, Office 365, etc. Have a look at the differences between Notes and Exchange Server that are the strong reasons for the migration. Performance factor – Exchange Server has advanced mail handling facilities. But IBM Notes is inferior compared to the latest Exchange versions. There is a manual solution for migrating the IBM Notes NSF file to the Exchange – the inbuilt utility provided by Microsoft namely Microsoft Transport Suite. But it is a time-consuming method which requires good technical skills to make it work. Also, it can be used with earlier versions of Exchange only. With so many complexities and drawbacks in the manual solution, it is advised to look for a proficient and result-driven migrator software for IBM Notes to Exchange migration. It is a reliable third-party tool that delivers the desired data migration from Notes NSF file or Domino Server mailboxes to Exchange. 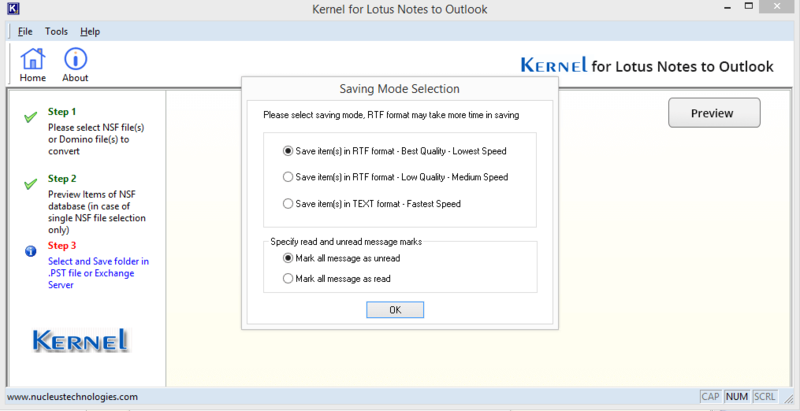 It also can migrate specific data with intelligent filters and folder options. 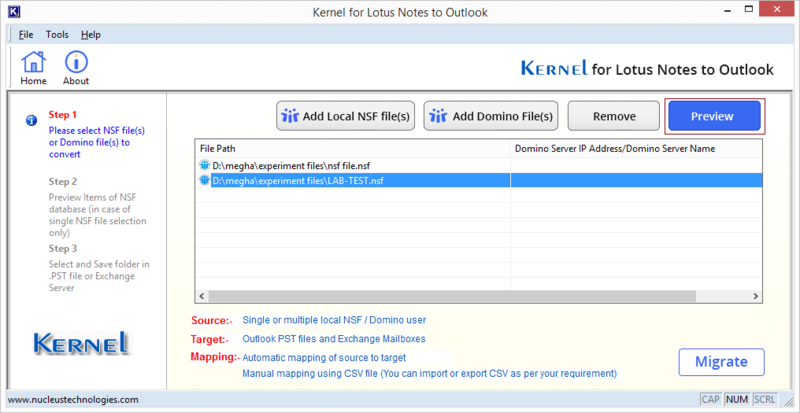 Users can migrate NSF files from any Notes version to Exchange Server version easily. 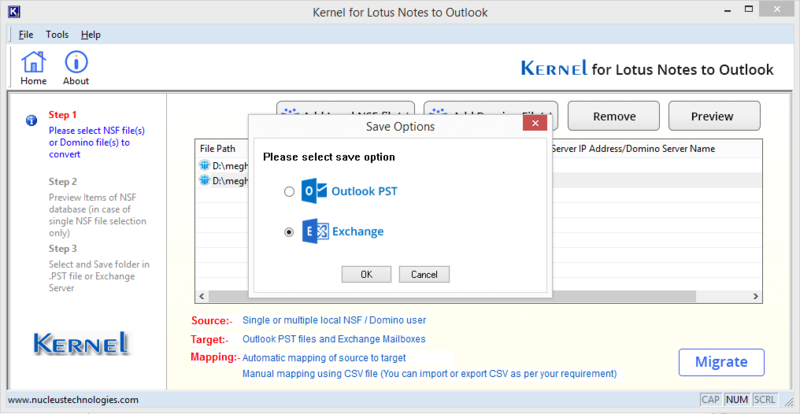 Follow the given steps to migrate Notes data to Exchange Server using third party Kernel for Lotus Notes to Outlook/Exchange migration tool. 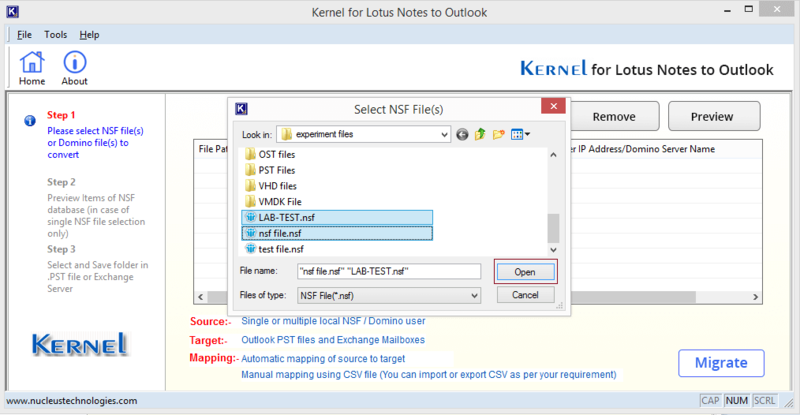 Start the installed Lotus Notes to Exchange migration software application and click Add Local NSF File(s). 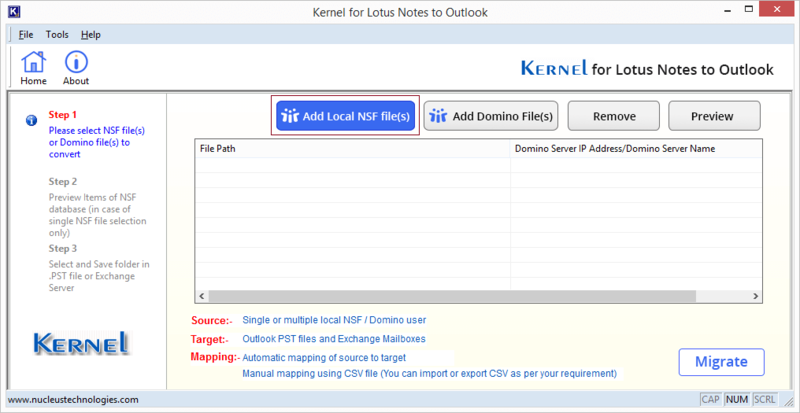 (You can also add files from Domino Server by selecting Add Domino File(s) option). Select the NSF files from the system drive and click Open to add them. The NSF file is added. 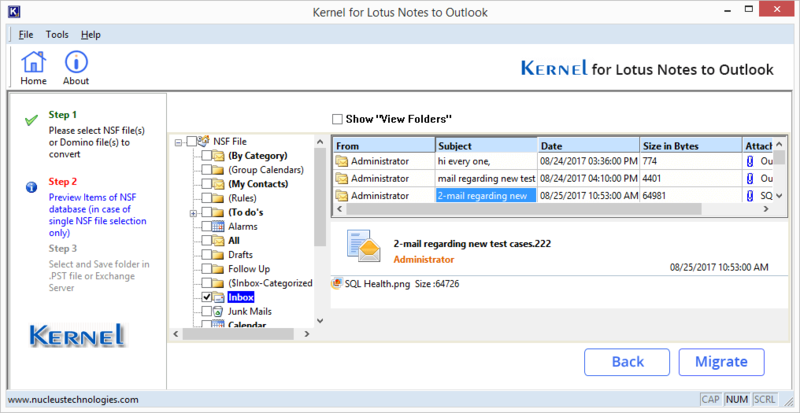 Select any file and click Preview to view its mailboxes and items. Select any file folder item to preview it. If you want to migrate this particular file, click Migrate on the same page; or if you want to migrate all the added files, click Back and then click Migrate. Select the saving option as Exchange and click OK. 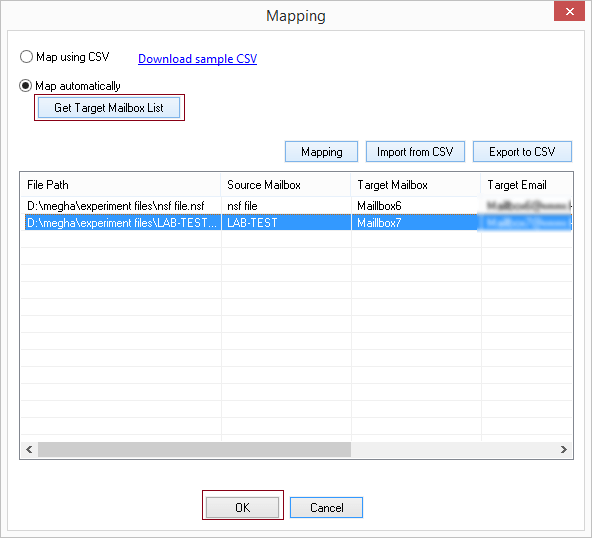 Enter the Exchange Server login credentials like domain name, user name, password, then validate it and choose the existing profile and select other options and click OK.
Next, map the source and destination mailboxes with using Get Target Mailbox List and Mapping options. Once mapped, click on OK. (You can also map using CSV file). Apply the filters and other options to move selected data and click on OK. Choose the saving format, choose the mark read/unread option as required and click OK. The migration process starts and gets completed successfully with a completion message. Hence, you have tried a swift migration technique for migrating data from Notes or Domino files to Exchange organization. The simple steps and GUI of this solution are far more convincing than the complex manual process. 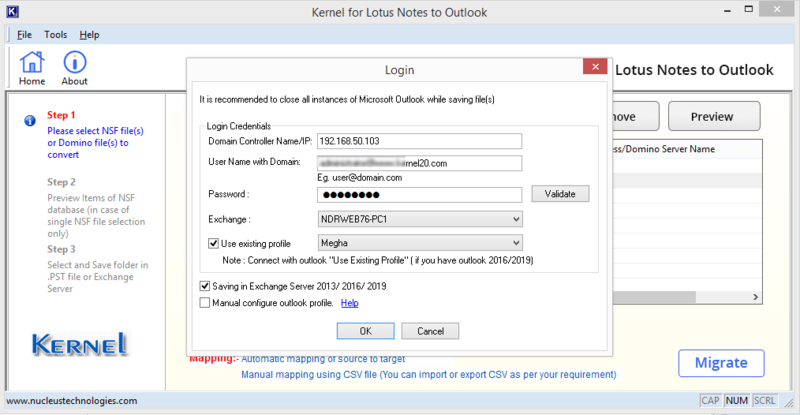 The migration to Exchange organization from Lotus Notes is frequent nowadays due to many reasons, but the manual solution seems quite complex to perform in any scenario. 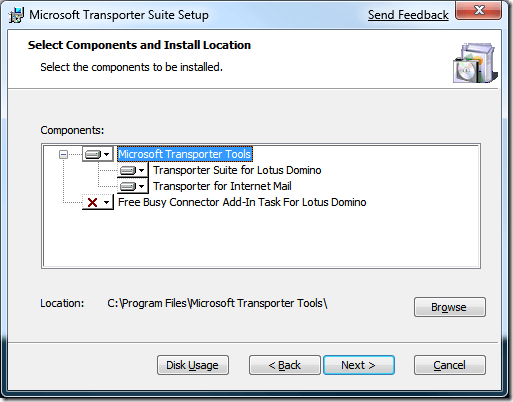 For users’ comfort, Lotus Notes to Exchange migration tool is suggested for the migration. 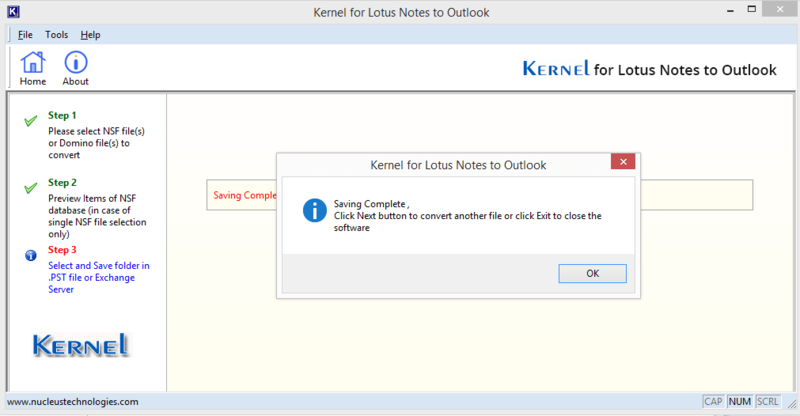 Why do organizations need to migrate from Lotus Notes to Outlook?